Despite all the twists and turns in American policy regarding travel to Cuba, the destination continues to be an immensely popular and lucrative market. 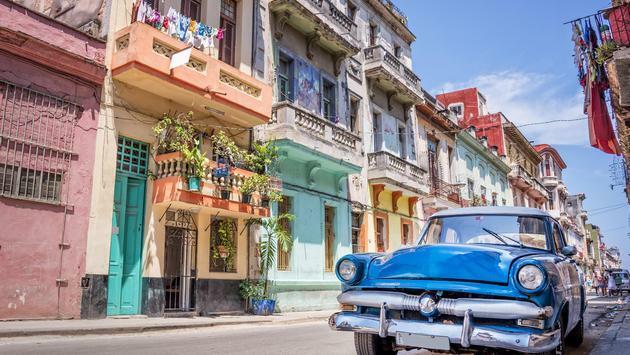 April 2 (Travel Pulse) The Department of Transportation has tentatively awarded a handful of airlines new scheduled flights to Havana. The announcement is the result of several U.S. carriers returning their previously received authority to run routes to the Cuban capital. In a statement on the DOT website, the government agency said it is awarding American, Delta, JetBlue, Southwest and United Airlines routes to Havana. The awards are now open for public comment by interested parties, according to the DOT statement. JetBlue is seeking permission to fly from Fort Lauderdale, Florida six times weekly to Cuba’s capital city. It’s also requesting permission for a new route from Boston, Massachusetts that would be operated once a week. Southwest has sought permission to fly once daily from Fort Lauderdale, Florida. United has proposed a route from Houston’s George Bush Intercontinental Airport to Havana’s Jose Marti International Airport, which would be operated six times each week, Sunday through Friday. The airline already provides weekly Saturday flights from between the two cities. “On behalf of United Airlines, we applaud the U.S. Department of Transportation’s decision to increase United service between Houston and Havana from Saturday-only to daily,” United’s vice president Steve Morrissey said in a statement regarding the DOT announcement. Under an arrangement with Cuba signed in 2016, each country may operate up to 20 daily roundtrip flights between the United States and Havana. Several U.S. carriers that were awarded flights in 2016 have since returned them including Spirit and Frontier airlines, which have stopped flying to Havana, according to The Atlanta Journal-Constitution. The DOT is now seeking to reallocate those awards to interested carriers. Travelers to Cuba must still fall under one of 12 categories authorized by the U.S. Department of the Treasury’s Office of Foreign Assets Control. The administration’s changes in Cuba policy do not alter the DOT’s ability to authorize U.S. airlines to provide scheduled services between the United States and Cuba. Objections to DOT’s tentative decision are due by April 16, 2018. If objections are filed, answers to objections will be due April 23, 2018. After considering all of the comments and responses, DOT will issue a final decision in the case. The tentative decision and other documents in the case are available at regulations.gov, docket DOT-OST-2016-0021.